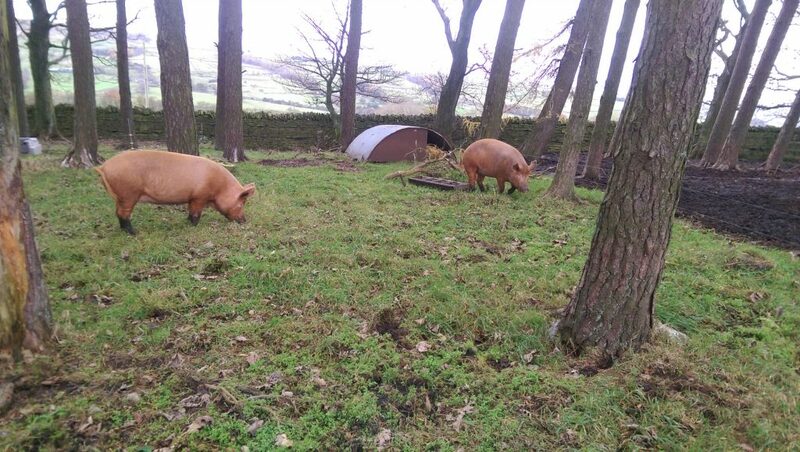 After a couple of months for the pigs in their new location, there have been some considerable signs of wear and tear especially given the wet weather that we’ve had more recently. 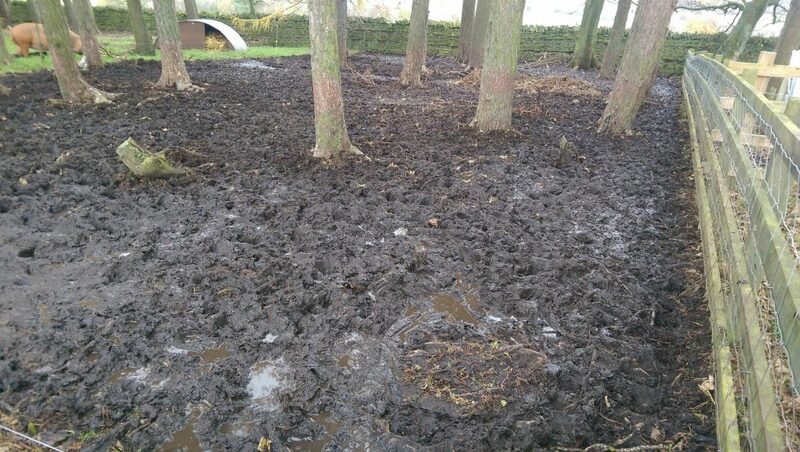 It’s a gentle reminder (as if I needed one) that it doesn’t take long for a couple of pigs to properly muck up a new pen. Now that we’re a little more organised with the pens and electric fencing in the woods, it was only a matter of a minor house move with a bit of fence post improvements and the pigs were safely housed in the next door enclosure. A couple of barrow loads of straw gets dumped into their house and the 2 sows are quite happy on the firmer ground with a selection of green growth to chomp on. I’m quite fond of the muddy coloured socks they seem to be wearing in this picture but sadly that quickly washed off. Time to start planning ahead for next year with the first farrowing due in mid-January (for Sissy) and potentially another AI attempt for me next week on the second sow (Esther).